A national obsession over the fate of the approximately two thousand American soldiers missing in Southeast Asia became one of the most unexpected and permanent legacies of the war. To many Americans, perpetuation of the search for the POWs and MIAs provided the opportunity to extend belated thanks and honor to all Vietnam veterans. The return of POWs became a heated political and military issue during the Paris peace talks that culminated in 1973. Both sides attempted to use it to their advantage over the next two years. The Americans claimed that the freeing and returning of the veterans was taking too long, though most of the men were later returned. During the administration of President Jimmy Carter in 1977, more than one thousand of the two thousand listed as MIA were reclassified as killed in action, although no credible reports existed that any missing service personnel not declared prisoners of war were still alive. 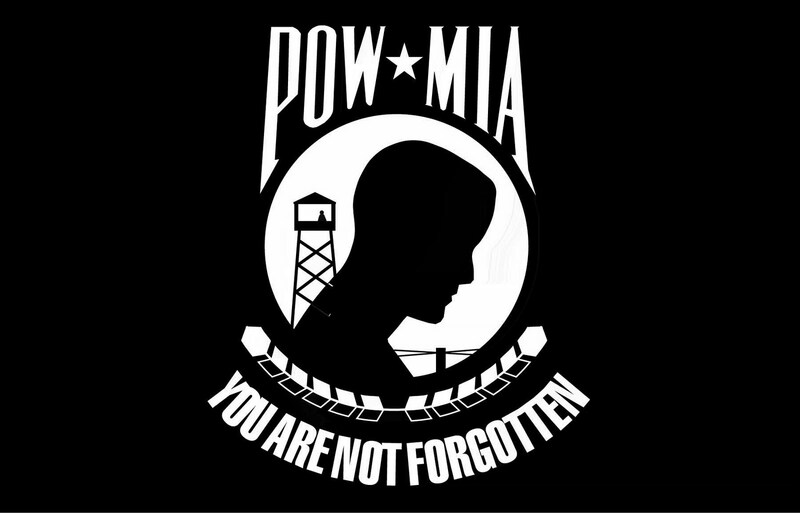 In the late 1970s the POW-MIA issue resurfaced as a result of lobbying by the National League of Families of American Prisoners and Missing in Southeast Asia. In 1979 Congress reclassified the fate of the soldiers killed in action as POW-MIA. President Ronald Reagan kept the issue alive three years later by stating publicly that he felt some Americans were still being held in Vietnam. His belief was supported by international humanitarian workers and Vietnamese immigrants who reported seeing Americans still held under guard. Public passion for the return of MIAs increased following a spate of films in the mid-1980s, such as Rambo: First Blood Part II (1985), starring Sylvester Stallone as a lone American freeing American POWs under intense enemy fire. MIA supporters soon began wearing bracelets and dog tags that listed a missing American veteran as a hero to be remembered and located. During his failed bid for the presidency in 1992, Ross Perot also fueled the MIA cause by declaring that he not only believed that Americans were still held, but that he had funded covert forays to locate and free the missing men. Because of contradictory and late-arriving information from the Vietnamese and U.S. governments, many Americans remained suspicious of the POW-MIA issue and came to believe it had declined as an issue of national importance. Furthering national support for the controversial cause, President Reagan in 1988 ordered a black and white POW-MIA flag designed by the National League to fly one day each year at the White House. It stands as the only other flag besides the Stars and Stripes that has ever been hoisted at the White House. A Massachusetts state law passed in 1990 mandated that the flag be flown above one or more public buildings in every Massachusetts town. In April 2001, the state of Virginia passed similar legislation. Senator John Kerry of Massachusetts organized the Senate Select Committee on POW-MIA Affairs in 1992. Congressional prodding soon led the Postal Service to issue a POW-MIA stamp. Eventually, all fifty states officially recognized National POW-MIA Recognition Day to commemorate the missing veterans.